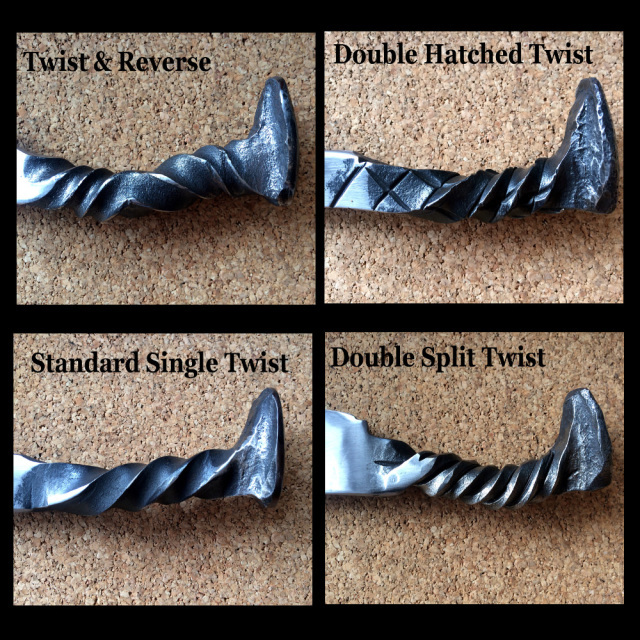 The certificates can be used toward custom orders, blades in stock, or blacksmithing classes! Order here for digital certificates (delivered immediately via email) or contact us for physical gift certificates (delivered 3-5 business days after payment via postal mail). Please contact us for a current list of blades in stock. We are working on creating an online storefront. All of our blades are hand forged out of high carbon steel. They are hardened and tempered according to the blade's intended use. Whether you have a blade design in mind, or you just know that you want something, Shadowhawk Blades can work with you. All blades are made-to-order and there will be a waiting period for your knife. Exactly how long will vary but approximations can be given at the time you place your order. If there is a time requirement please let us know and we will do our best to accommodate you. - First we will have a conversation about how you plan to use the blade and if you have any specific size or design in mind. - If you have a sketch or photos of pieces you like we will ask you to email them to us. - Once we have the size, design, and materials planned we will quote you a price. - When you are ready to finalize your order we will have you mail us (not email!) a tracing of your hand (so we can size the handle for you) and you will make your 20% down payment. - Your order will be placed in line. We will give you an estimated time frame but we do not guarantee completion dates. - We will hand-make your new blade, start to finish. We are always happy to give updates along the way, just send us a message! - When the blade is finished we will contact you to arrange delivery and you will make any remaining payment.